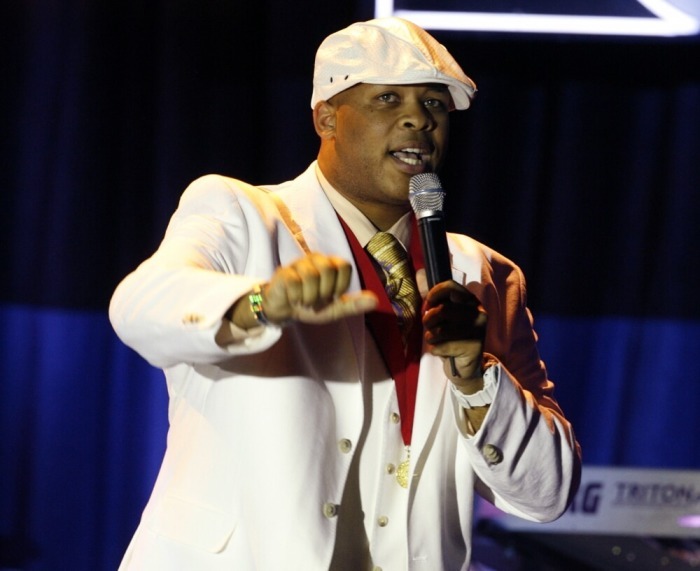 Grammy nominated singer James Fortunes was hit by a drunk driver Wednesday night while he was driving to church. A photo posted on Fortune's Facebook page showed the Texas native strapped to a stretcher after the four-car collision. "Please pray for our brother James Fortune who on his way to church tonight was hit by a drunk driver in a four-car accident. God spared his life and he is responsive. Pray for a speedy recovery. God bless you and thanks for the prayers! #covered #Jesus #jamesfortune," the post read. Thousands of messages poured in following the request and many shared their prayers and well wishes. According to Premier, Fortune responded to his followers on Instagram where he shared more information about his condition. "Family, I'm sore but I'm alive! Jesus spared my life," the post read. "Thank you so much for your prayers, love and support. I'm so grateful! I'll be back soon. Let's all love and forgive. Tomorrow is not promised! God bless you all!" Last year, Fortune pleaded guilty in a Houston, Texas, courtroom to a third-degree felony charge of assault–family violence for an assault involving his wife, Cheryl, in October 2014. The incident resulted in Cheryl being admitted to the hospital. He served five days in jail and was given five years probation with 175 hours of community service and was ordered to attend a "batterer's intervention" program. "As I'm sitting in the back of the cop car, I watch officers bring my children out of our home. My wife is at the hospital, where she reported my assault. We had just gotten back from a trip to South Africa. My wife and I had an argument and I decided to physically remove her from our bedroom. In doing so, I assaulted her. I abused my wife physically," he said during an interview with Essence magazine in September 2016. The singer told Essence that his need for control is what fueled his abusive behavior. He also talked about the dark pit he found himself in after the public heard about the felony charge. "I could not see my wife or my kids for months, I wasn't welcome at a lot of churches. That's when you feel you have nothing to live for and the suicidal thoughts begin. When I was contemplating ending it all, I had to talk to myself: James, you've encouraged everybody else to trust God, and now you have to believe," Fortune said. The Christian Post reported back in March that Fortune said he once thought of taking a "whole bottle of Xanax," but after attending a Tasha Cobbs conference for worship leaders called iLead he changed his mind. Fortune and Cheryl are now legally separated and he is barred from having any contact with her for five years. Despite the aftermath of the past two years, the "I Trust You" singer has said he doesn't believe all hope is lost. "It took a while for me to admit I was an abuser. I wouldn't be healed if I didn't take accountability. I realized that I'm an abuser and I may never be forgiven or trusted again. When you release the shame, you can live again. God still has a purpose for my life," he told Essence.